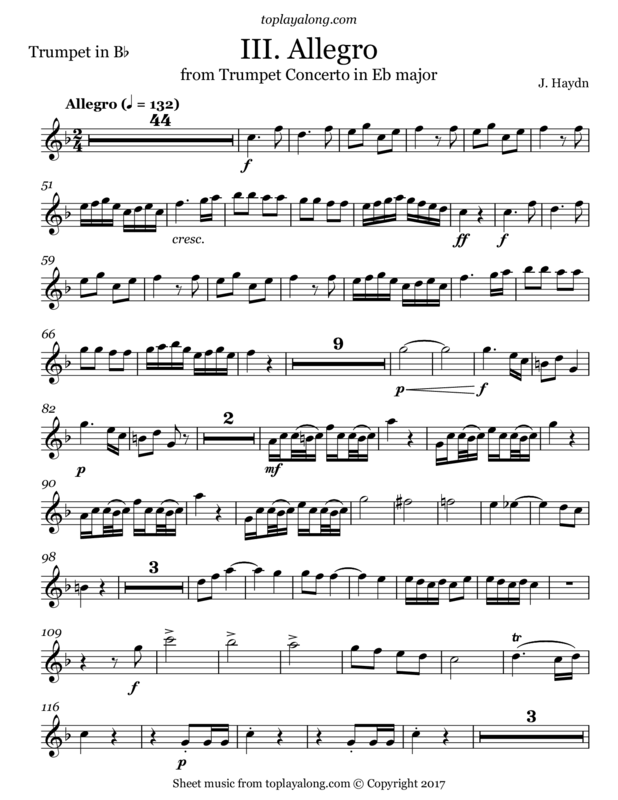 Third movement (Allegro - Rondo) of the Trumpet Concerto in E flat major, Hob. VIIe:1, composed by Joseph Haydn when he was 64 years old. The piece was written to Anton Weidinger who developed a keyed trumpet which could play chromatically throughout its entire range. Before this, the trumpet was valveless and could only play a limited range of harmonic notes by altering the vibration of the lips; also called by the name of natural trumpet. Haydn's concerto includes melodies in the middle and lower register, exploiting the capabilities of the new instrument.